Arlington, VA, April 26, 2016 – In an effort to provide educators with additional content that engages students with classroom curriculum, PBS announced today a new series of interactive iBooks for teachers. The iBooks, geared toward K-8 educators, cover topics in math, English language arts, social studies, and Spanish language and culture. PBS LearningMedia, the media on-demand service from PBS that offers more than 120,000 digital resources for teachers, has released four iBooks this month. Each iBook averages 200 pages and contains contextualized lesson plans, professional development resources, and links to curriculum-targeted videos and games from PBS LearningMedia that teachers can use to enrich classroom instruction. The first four iBooks focus on measurement, holidays, Spanish, and grammar and are available through iTunes. 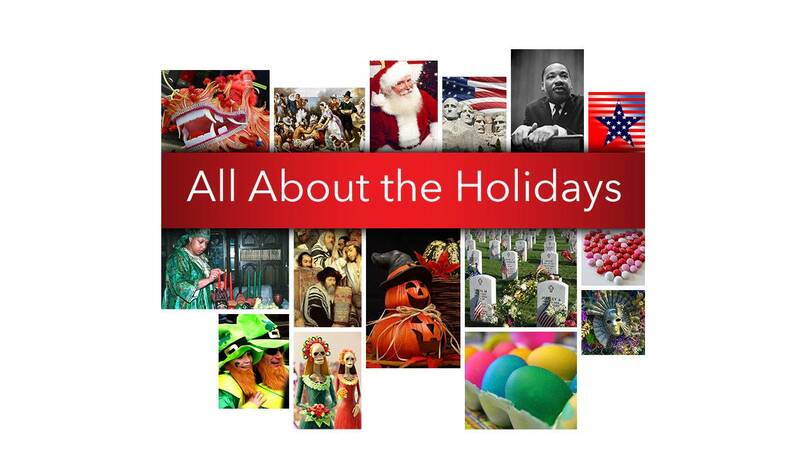 This iBook helps teachers turn every holiday into a teachable moment. Based on PBS LearningMedia’s original series, All About the Holidays, this iBook provides elementary teachers with a wealth of lesson plans and classroom strategies to amplify special events throughout the calendar year. Resources in this iBook are aligned to NCSS National Curriculum Standards. In addition to lesson plans and activities in Spanish and English, this iBook also offers a fully mapped-out curriculum that Spanish-language teachers can use with students in grades 3-5. Resources in this iBook are aligned to ACTFL Standards. This iBook is packed with standards-aligned lesson plans about telling time, counting, and using measurement tools. It also includes professional development resources that teachers can use to help them effectively integrate the content into their math classes. Resources in this iBook are aligned to the Common Core State Standards for K-2. This iBook gives teachers access to differentiated lesson plans and activities they need to guide students through the intricacies of everyday grammar. Resources in this iBook are aligned to Common Core State Standards for English Language Arts & Literacy. All of the iBooks are currently available to download for free on iTunes. To learn more about PBS LearningMedia, visit pbslearningmedia.org. In order to gain a better understanding of the effect that PBS digital resources have on student knowledge and engagement, PBS recently conducted a study of middle school science, math, English language arts, and social studies classrooms where resources available through PBS LearningMedia were integrated into existing curriculum. The PBS LearningMedia Impact Study, conducted by Education Development Center’s Center for Children and Technology, showed that across subject areas, student performance on content assessments showed significant improvement, increasing by an average of eight percentage points. In addition, students outperformed national assessment norms by 10 percentage points, on average, and outperformed state assessment norms, by an average of 11 percentage points. For more information and to view the full study, please visit: PBS Learn More Report. As America’s largest classroom, PBS offers digital content and services for teachers of children from pre-K through 12th grade that help bring classroom lessons to life. PBS LearningMedia, a partnership of PBS and WGBH Educational Foundation, is a free and paid media-on-demand service offering educators access to the best of public media and delivers research-based, classroom-ready digital learning experiences to engage students in exploring curriculum concepts that align with National and Common Core State Standards. Nationwide, more than 1.8 million teachers and users have registered access to more than 120,000 digital resources available through PBS LearningMedia. More information about PBS LearningMedia is available at pbslearningmedia.org or by following PBS LearningMedia on Twitter and Facebook.